Yesterday’s Overwatch patch will force players with high competitive skill ratings to play at least seven games a week or see their ranking decline. It’s a smart move to combat foul play, and in the comings weeks, top Overwatch players should see fewer “smurf” accounts and more fair skill rankings. In response to the patch, some Diamond, Master and Grandmaster-ranked players complain that Blizzard is levying a “tax” against them for having a life outside of Overwatch. Skill rating decay isn’t new, but the latest update intensified it. 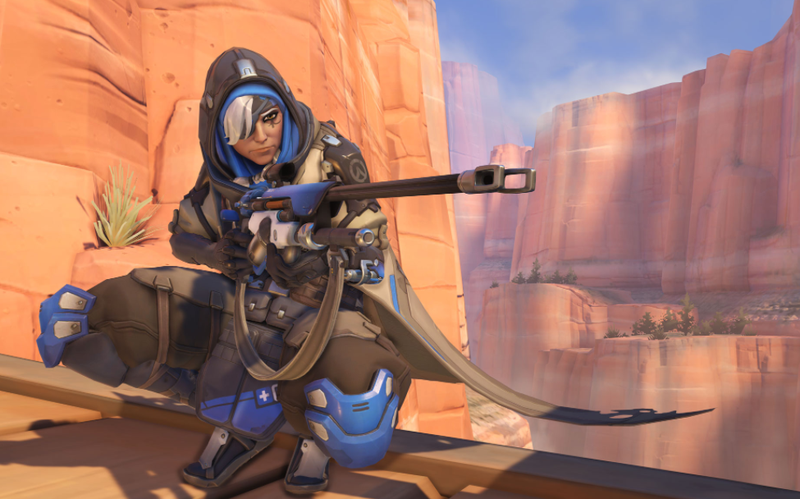 Blizzard’s been testing out ways to improve SR accuracy since Overwatch’s release last year, and forcing players to compete often gives Blizzard more data to measure their skill. In Season Two, Blizzard adjusted Overwatch’s competitive ranking system so players who placed in the top three ranks were forced to play at least one competitive match a week. Their rating would “decay” 50 points every 24 hours, but never fall below 3,000. Reading between the lines, it’s obvious that Blizzard wants to stomp out the practice of “smurfing.” That’s when players compete on alternate accounts, often so more talented players can crush newer ones. They do that by opening up or buying secondary accounts with lower skill ratings. In a lower rank, they’re matched against less experienced players. With the new update, it will be much harder to maintain, say, three smurf accounts, if you have to play seven games a week on each. Probably, they’ll fall into the lower end of the Diamond ranking. You might ask, “Why would a player ‘smurf’ in such a high rank?” Between a Master and low-Diamond, the skill gap is significant. For Master-ranked players who want to feel superior but still face a challenge, low-Diamond matches will do the trick. Although the “skill decay” boost should combat smurfing, on Reddit and Battle.net, players are complaining that seven games a week is a big commitment. Some say Blizzard is “punishing” them for having a life outside of Overwatch. Anything from travel to school assignments can get in the way of Blizzard’s new quota. Others point out that Overwatch players who have enough time to “smurf” probably have enough time to play seven games a week on each “smurf” account. More diehard Overwatch fans say that two hours a week is peanuts for top-ranked players. Other highly competitive games, like League of Legends, have a similar mechanic. It’s nothing new for esports, but for Overwatch, it widens the gap between casual and competitive play, a line the game desperately attempts to walk but, in cases like this, trips over.